Many patients understand the importance of regular check-ups to help maintain a healthy mouth, but did you know that seeing a hygienist is equally as important? The hygienists at our practices in Coventry and Kettering are specially trained to help prevent gum disease and other problems with teeth, as well as deliver a thorough clean beyond where you can reach with your toothbrush. 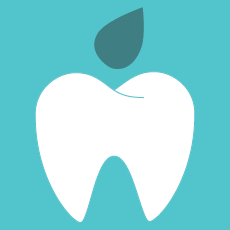 We can also help build a specific oral hygiene plan just for you, designed around your needs and requirements. A hygienist will also have lots of tips and advice for the whole family when it comes to looking after your teeth at home. From how to use a toothbrush properly, to flossing and inter-dental brushes, they have all the tools to help you enjoy a healthy mouth and confident smile. At an appointment with the hygienist they will take the time to carefully examine your teeth, mouth and gums, making notes of any areas of concern, which could include inflammation, bleeding and the presence of plaque. Your hygienist will take the time to explain their findings and answer any questions you may have, before using high-quality tools and techniques to give your teeth a good deep clean. Most patients also experience bad breath at some point in their life, which can be due to a variety of factors. Your hygienist is the perfect person to help alleviate this for you, especially as they help patients with bad breath on a regular basis, so are very understanding that you may feel this is an embarrassing issue to discuss. You can have complete peace of mind that your hygienist will be able to discreetly and gently advise you about the best way to treat bad breath. Alongside a deep clean and other advice, they can also tell you about our products that you can purchase to use at home. To find out more about our dental hygiene appointments and make a booking please get in touch.